We have witnessed thousands of undocumented African immigrants scrambling over barb wire & risking their lives in overcrowded rafts to enter Europe; Sri Lankan, Iraqi, Afghani, Pakistani immigrants traveling in rickety boats to get to Australia; Central Americans making a treacherous diaspora to cross the US border. 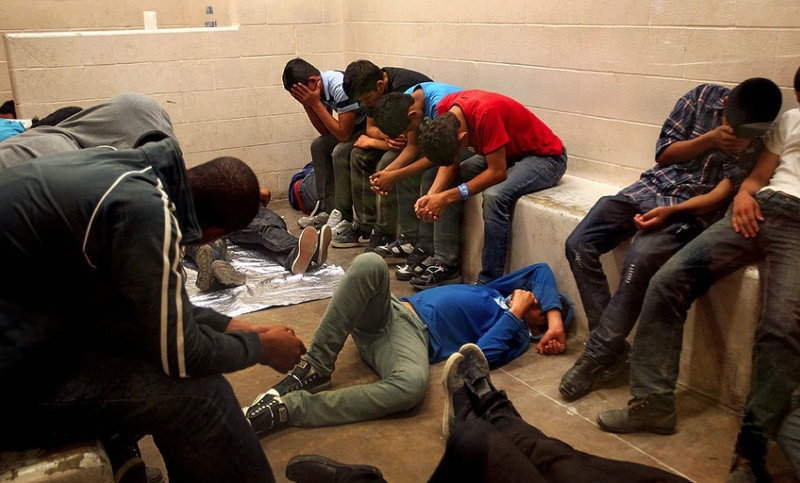 Most of them look just like these young men in a holding cell at a US Border Patrol station in McAllen, Texas: shell-shocked, bereft, exhausted, humiliated–all to pursue less than minimum wage jobs & driven here by US economic plunder & military policy. Is this how civilized societies treat human beings who have just traveled nearly 2,000 miles, are malnourished, grubby from lack of facilities, scared to death? Or is this more like Guantanamo writ large? The local Democratic Congressman Henry Cuellar, who gets elected by mouthing support for immigration reform, just joined forces with Republican Senator John Cornyn, a fancy-schmantzy, viciously anti-immigration boy ranked as the 17th most conservative senator in Congress. 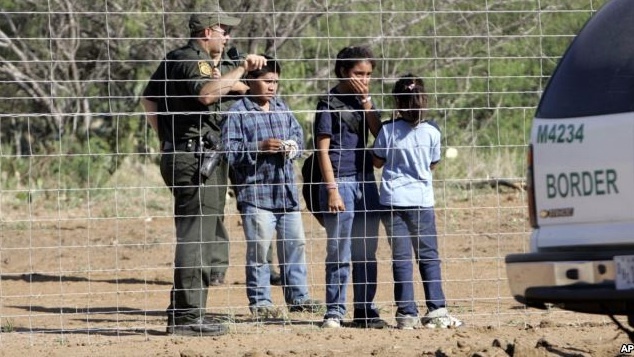 They introduced the “HUMANE” (Helping Unaccompanied Minors & Alleviating National Emergency) Act to grease the wheels for faster deportation of kids back to Central America. In this regard, Cuellar does not distinguish himself from the entire Obama administration whose answer to thousands of little kids seeking asylum is to deport them. Let our man of the people, the lesser evil guy Cuellar, speak for himself. After a jaunt to Central America this political halfwit declared that though there is an undeniable humanitarian issue in thousands of kids coming here under treacherous conditions, in fact the more important issue is the drug cartels who use social media to recruit kids & offer rebates to every child enticed to come. He didn’t identify who gets the rebates. He didn’t identify how kids who live in shacks without electricity access the internet. He also commiserated at the “brain drain” problem this is causing for Central America. There’s a brain drain going on all right & you can see it everytime our lesser evil guy opens his trap. The political combination of Cuellar & Cronyn is like Tweedledee & Tweedledum–& not the two doofuses from Alice in Wonderland, but the supervillains known as the enemies of Batman in the comic books. That they would have the insuperable hubris & cruelty to pawn off the barbaric deportation of children as humane proves they are unfit to do more than clean toilet stalls at the police station & should have restraining orders to keep them away from vulnerable people. The noted journalist Jose Antonio Vargas was arrested here yesterday & booked along with these young men. He is a Filipino undocumented immigrant living in the US since he was 12-years-old, who became a Pulitzer Prize-winning journalist. A few years ago he publicly came out as undocumented & has chronicled the difficulties of his own life & that of other undocumented immigrants. He has become a leading figure in immigration rights. He came to McAllen with a camera crew to document the undocumented minor deluge but didn’t realize that you can’t just hop on a plane or drive north from here without going through Border Patrol checkpoints. He was arrested trying to board a plane on his way back to Los Angeles but was released the next day because Homeland Security officials said he had no prior immigration or criminal record. Although the immigration jails are so jam-packed they have no place to put him, the obvious reason they sent him on his way so fast is that they do not want an immigration rights activist & ace reporter, who can write well enough to win a Pulitzer Prize, interviewing & documenting why immigrants come here, what conditions they are incarcerated under, & what kind of misery & inhumanity they are subjected to by immigration authorities. Vargas has become an outspoken champion of the undocumented & after his release spoke in solidarity with the undocumented now caught in the perils of immigration procedure. We wish him every success in his work & hope he can give voice to those now denied it. Immigration is a human right! Open the borders! Close down the immigration jails! No human being is illegal! 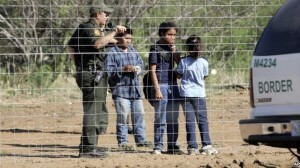 The immigration of unaccompanied minors from Central America is now so massive on the southern US border that it is making international news & shaming the Obama regime. The estimates of child immigrants don’t add up: some media report 400 children a day (146,000 a year); others estimate 60,000 to 80,000 a year. Either figure is staggering. Only a few years ago, it was staggering at 10,000 a year. What’s making news is the squalid conditions traumatized, malnourished, often sick children are placed in by homeland security. Thousands are incarcerated in overcrowded facilities often on abandoned army bases, forced to sleep on the floor with aluminum sheets for blankets. God knows what the hell they’re fed–or how often. 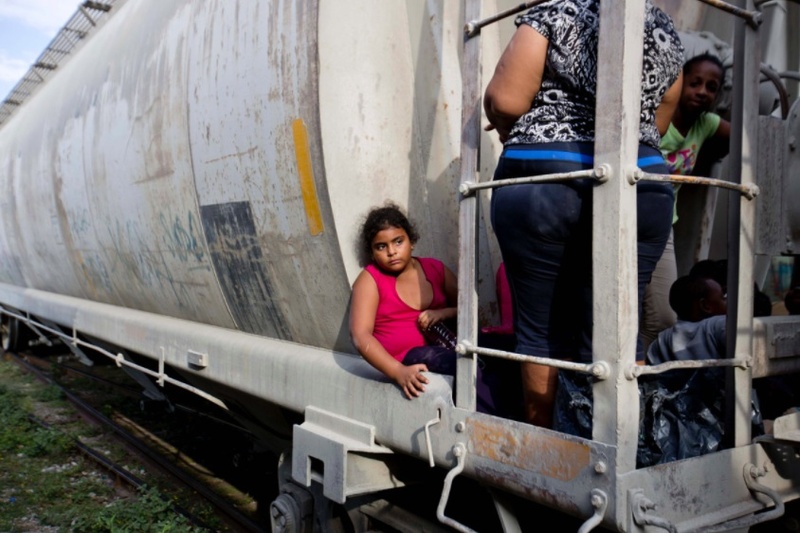 Hundreds are being deported back to Central America & dumped. There is of course no shame among US politicians; the right-wing blames lax immigration enforcement by the Obama gang & claim children are coming because of his promise of amnesty–a promise which has not materialized in the several years of his presidency. The Democrats (let’s not play folly with language by calling them left-wing) are using the squalor to rope in the Latino vote in upcoming elections. One local politician toured facilities & released some of the damning photos showing children & other immigrants being warehoused like animals. This situation has prevailed for a long time but the upcoming elections have poked whatever he has of a conscience into high dudgeon. The truth of the matter is US capitalism is completely dependent on undocumented immigrants for maximal profits. And not just agribusiness but manufacturing & construction. Biden laid that out quite clearly when he recently blithered (that’s his rhetorical style) to a meeting of the National Association of Manufacturers. US capitalists & politicians have to jockey the unstable ground between the economic imperative for immigrant workers, the political expedience of scapegoating them, & the need to rake in the votes. What’s that Bible phrase about a “child will lead them”? In this case, children forced into a perilous diaspora from their home countries as a result of neoliberal barbarism are exposing the whole shebang of them for the ruthless monsters they are. When hundreds of thousands of children are not just victims but pawns in this treachery, then it’s high time to take action & demand entry & amnesty to all. Immigration is a human right. Open up the damn borders! Tear down the wall!